Yikes. I’m almost larger-than-life here. 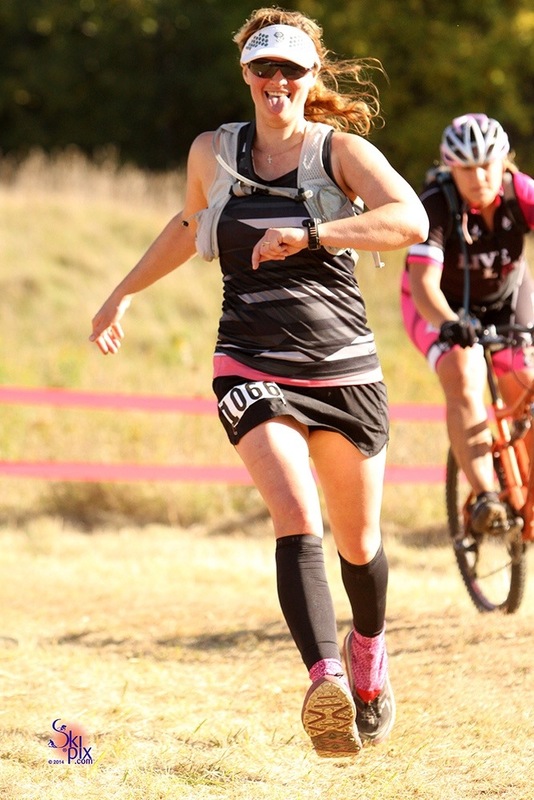 This is me heading to the finish line of the VT50 last year. I hope to look this cheerful at the end of the VT100k Saturday. I’ve been hopping up and down for the last two weeks, I wonder if I’ll have any energy left to run. Long training weeks of 50 miles are done. We made it through a very long winter and emerged into a full fledged summer swelter. I’ve done the middle of the day heat training. Training races have been run. Back to backs done. Aggie has dragged my sweaty carcass through bramble to a taper-crescendo. At this point, my training is what it is. Every aspect of running an ultra appeals to me. Of course there’s the running. That’s a given. But organizing our gear has been utterly satisfying. 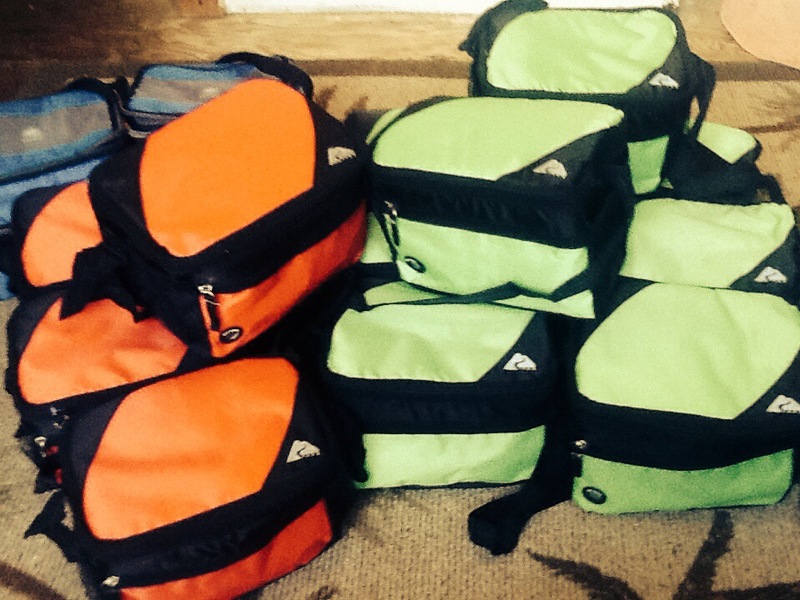 I went as far as ordering 15 insulated lunch bags to polish our running style with. We nixed the garbage bags in favor of uptown style. Red for girls, green for boys. I have seven drop bag sites. Hubby has nine for the full 100. We’re gonna utilize all of these. Neither of us has to think about what our bags look like at midnight when we’re a little trail weary. And we look good! Pretty straight forward. I’ve heard simple is best, especially later in the game. Vermont is hottest and most humid in July. Any perishables, like fresh fruit and ice, our crews are handling. So far, the weather forecast calls for 82° and 75% humidity. Although the VT100 has been hotter the previous two years, we are going to have our crews carry lots of ice. Last year volunteering at Stage Road Aid Station, we had very little ice to give the runners. I want to make sure we have lots to share, if needed. Batteries, headlamp and flashlight I’ll leave in my Ten Bear bag for later in the day. Extra Buff, change of shoes will be in my Spirit of ’76 (mile 40) bag. I know lots can go wrong. I tried to prepare for all the parts I can control, so when something does go wrong, and it will, I won’t feel like a house of cards. I wanted everything ready so I can sit back and enjoy the pre race festivities Friday. I’m injury free (for today). Packed, trained & rested. So let’s do this. I’m covered in grace, that I can run. Everything else is just icing. I’ve been running again for a mere 2 1/2 years. That I’ve come this far to run further than ever is incredible. 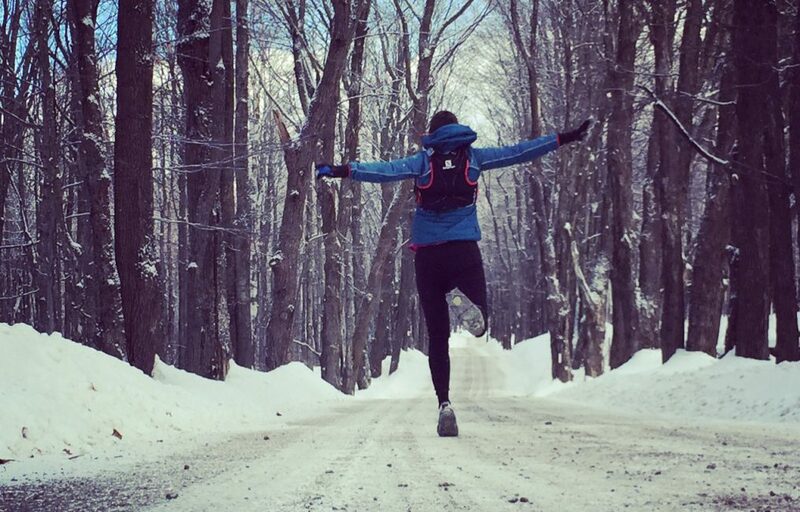 I’m beyond wow’d that I’m going to run in this year’s VT100 so soon. Whether I make it to the finish line or not, it’s gonna be an amazing day. I hope you’ll include me in your prayers Saturday that it’s a smooth, fun day for this grateful girl. It’s a great piece! Thank you, FNE.